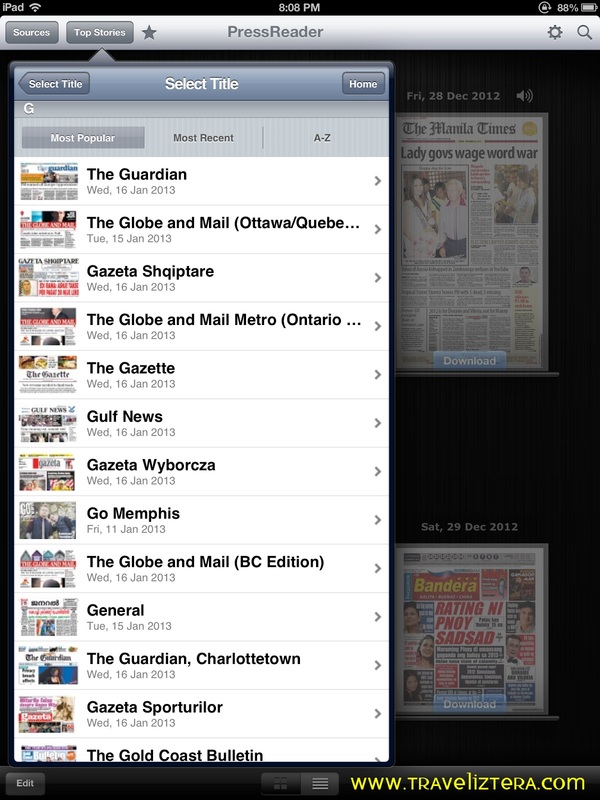 An app that offers 2,300 newspaper and magazine replicas to your device... That is PressReader! 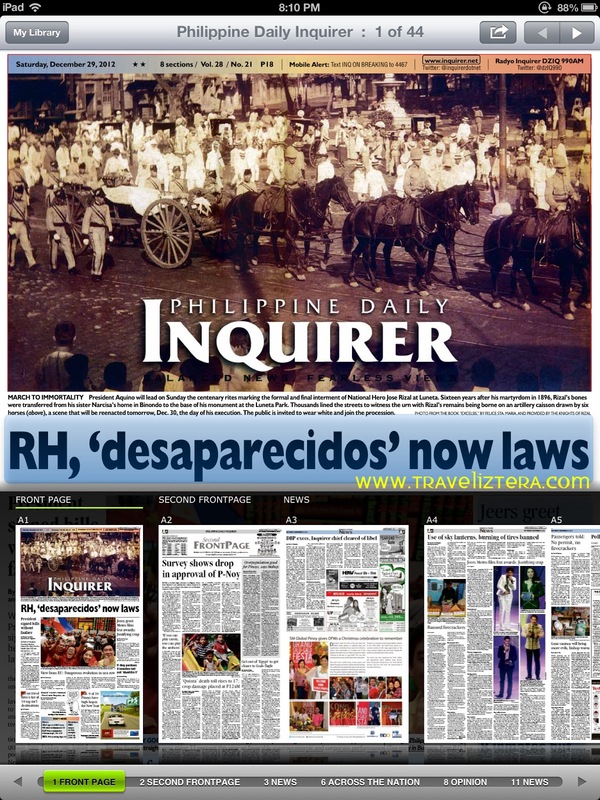 I used to read Filipino newspapers daily back in the Philippines, and of course, upon moving to Australia, that disappeared. 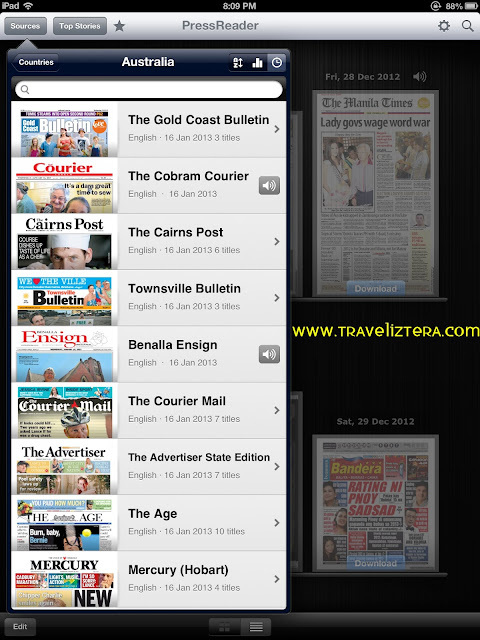 Although we now have websites and social media which deliver us news from all over the world, it is still different to have it in a newspaper format. 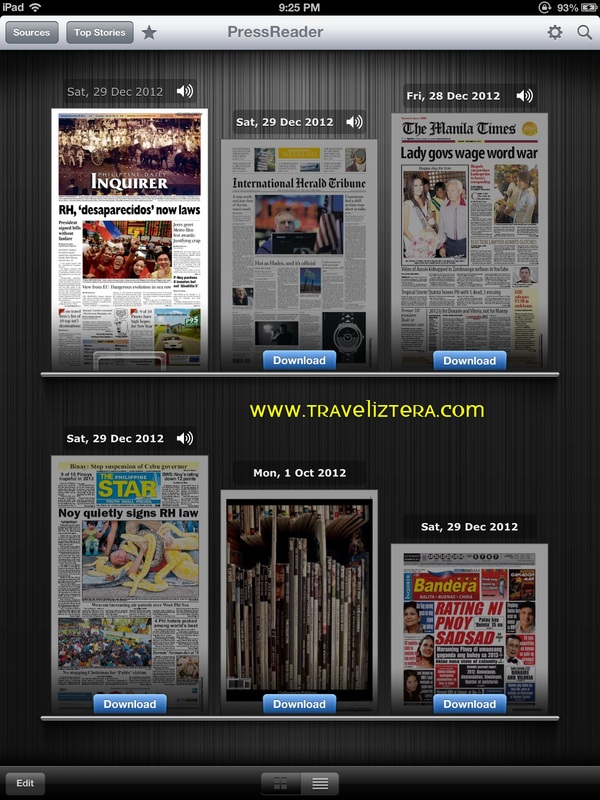 That is why I am happy to discover PressReader. 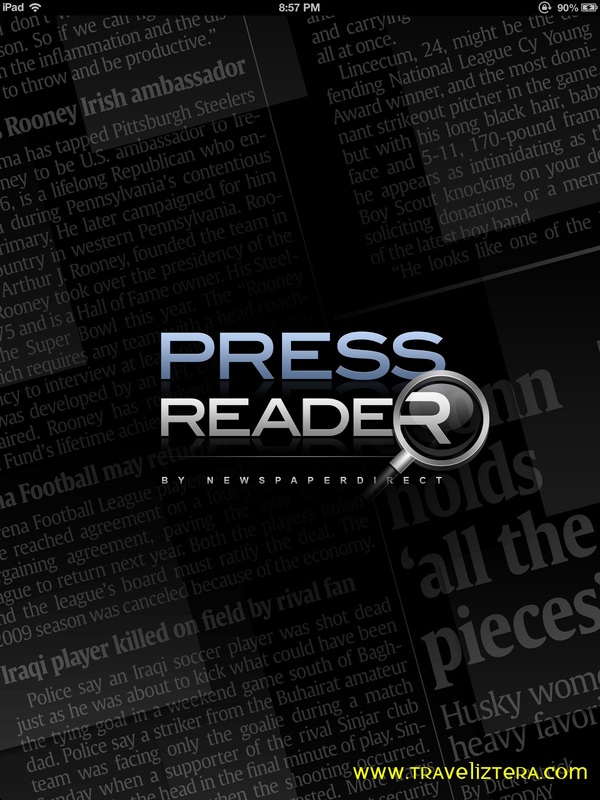 With PressReader, you can subscribe to your favorite newspaper/magazine and have its issues directly delivered to your device. The two main reasons why I like this app are its easy navigational features, and of course, the wide selection of papers. 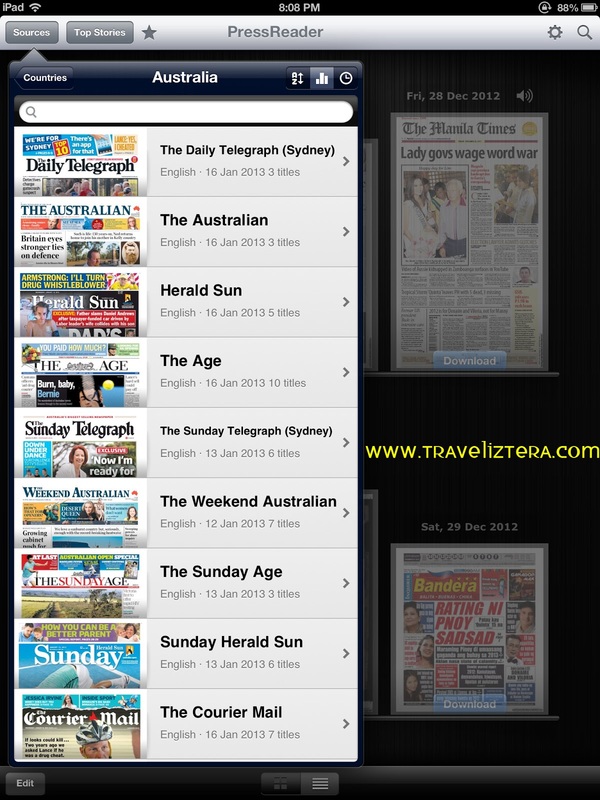 By clicking "SOURCES", you are able to choose the paper you want according to the country of your choice. In the following photos, I chose Australia and the Philippines. You can also click on the TOP STORIES and search it by COUNTRY, LANGUAGE, or ALPHABET. 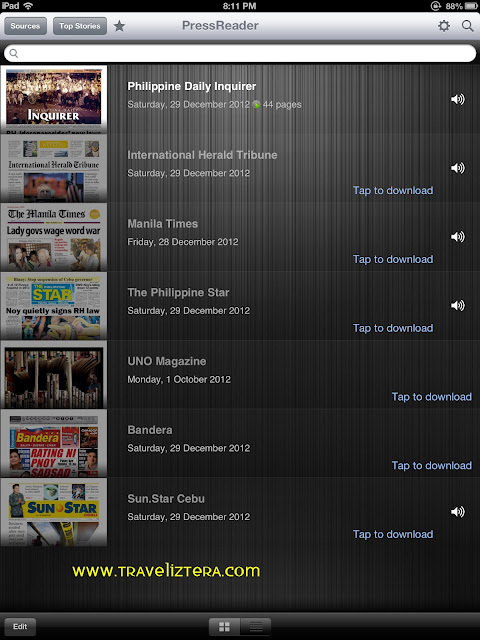 Aside from choosing among various options under TOP STORIES, you can get a glimpse of the trending TOP STORIES. 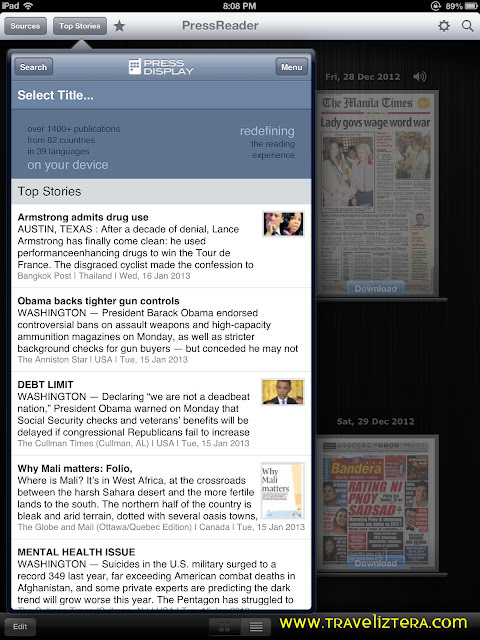 You can also SEARCH TOP STORIES under the TITLE of your CHOSEN PAPER. 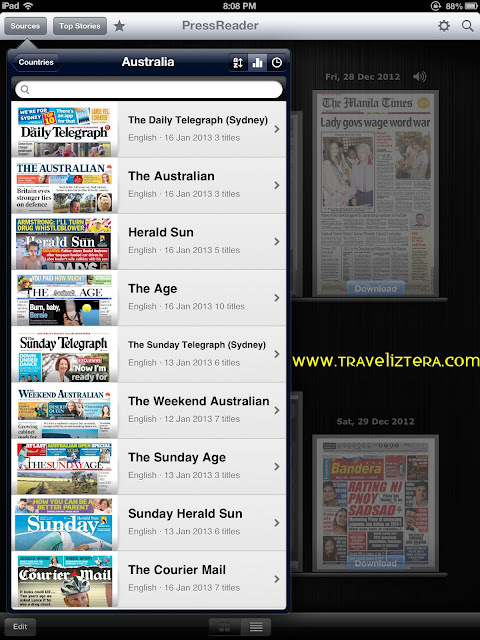 When you have chosen the country you want to pick your papers from, you have two VIEW OPTIONS. One is by COVER ICONS and one is by LIST. I personally like the ICONS view because I can have an overview of the cover page. 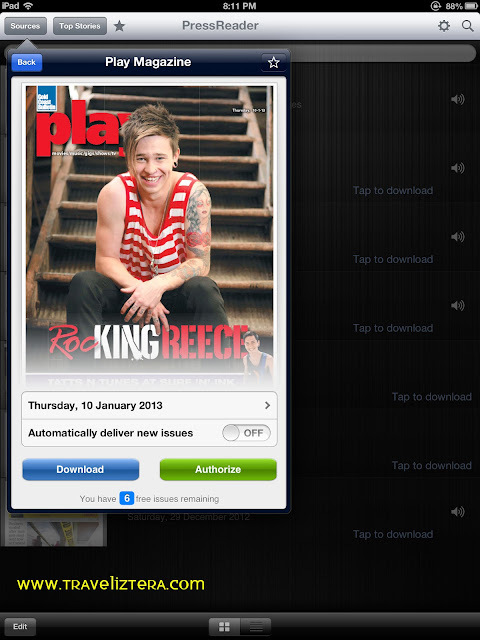 If I want a certain paper, I can just tap to download that to my device. Easy tap! Another interesting feature of this app is that it has a reader, so you can listen to the news wherever you may be. You can choose which article you want to hear by tapping on that area. Once you have selected the paper you want, you can allow new issues to be delivered to your device automatically, or you can just keep the current issue. You can automatically have new issues delivered to your device. You can also easily manage your papers. Here is a sample of a downloaded newspaper issue of THE PHILIPPINE DAILY INQUIRER. You can easily navigate from the FRONT PAGE to the other content of the paper. I am fine with the page-turn's speed, even though it does lag at times. I believe its improvement will be included in the next update. Nonetheless, I still like how I can get a clear full view of the pages, and it even allows me to zoom in to be able to read better. Overall, I would recommend this application to anyone who likes reading papers/magazines, and would love to have them anywhere, anytime. You can have a collection of full issues in your device that can easily be accessed anytime, without having to go through the usual paper bulk. This is definitely good for travelers, or those who have moved to other places and are feeling a bit homesick, and would love to still be updated with their hometown's news. In addition, due to the wide selection of publications, you have access to the other countries' papers, and be updated with their happenings. This is best for chismosas (gossip lovers) who are curious about everything. It doesn't stop there! As I said, the app almost has everything! They also have certain local papers! 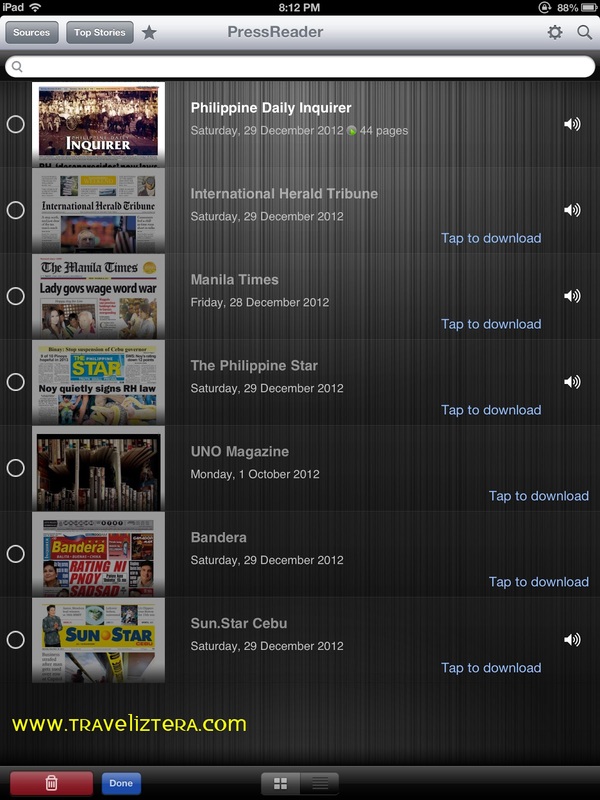 So if you are interested, the app is free, and it allows you to download a limited number of free issues. If you want to download some more, you can pay $.99 per download or have all your chosen publications for only $29.95 per month. The app is available to ANDROID, BLACKBERRY, APPLE, WINDOWS, and HONEYCOMB. For more information, check their website out: http://www.pressreader.com/. ** Screenshots may be from my device, but credits go to PRESSREADER, since I used their app for these shots.